Cuff devices for blood pressure measurement are inconvenient, and mobile device apps for blood pressure measurement that are now being introduced may lack accuracy. 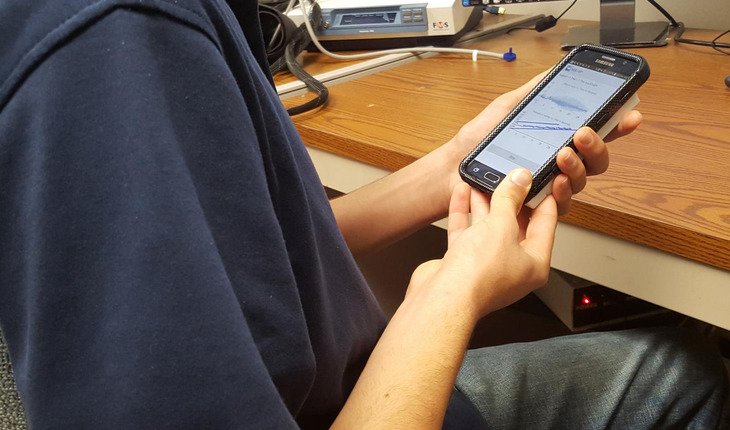 To solve this problem, a team of Michigan State University scientists has created a new app and hardware for smartphones to measure blood pressure with accuracy that may rival arm-cuff devices. The technology, published in the March 2018 issue of Science Translational Medicine along with a video, also includes a discovery of a more convenient measurement point. The approach uses two sensors: an optical sensor on top of a force sensor. The sensor unit and other circuitry are housed in a 1 centimeter-thick case attached to the back of the phone. Users turn on the app and press their fingertip against the sensor unit. With their finger on the unit, they hold their phone at heart level and watch their smartphone screen to ensure they’re applying the correct amount of finger pressure.